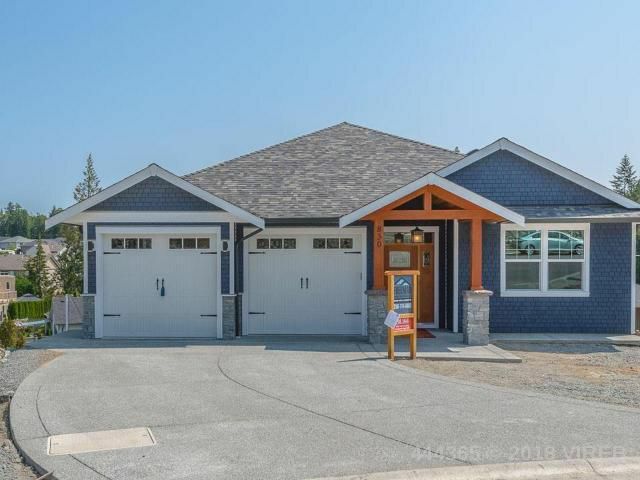 Custom designed by Freeman Construction, this 3800 sqft home has a 10-yr warranty and a 2-bedroom legal suite w/ separate meter, laundry and thick soundproofing. So many custom extras: 97% energy efficient gas furnace, HRV, LED lighting, hot water on demand and energy efficient windows with epic views over the hamlet. Upstairs has three bedrooms and two bathrooms w/ solid surface countertops; master suite contains luxury ensuite w/ heated tiled floors extending into no threshold shower. Deluxe kitchen w/ solid-surface countertops, gas or electric stove hook-ups and a large island; great room boasts 10ft ceilings and gas fireplace. Large covered deck w/bbq hook-up. Closets/storage galore and double-car garage. Downstairs there is a rec-room, additional bedroom/powder room, storage room and a 460sqft finished bonus room waiting for your ideas. This home must be seen to be appreciated; w/ more custom features than the regular spec homes on the market, you won't be disappointed!